Hello and welcome to Florida Keys Shallow Water Flats Fishing. Are you ready to fish the gin clear flats of the Florida Keys? Come on down! I'm an amicable and patient guide who will work hard to make your day on the water a success. I have lived and fished in the Keys for over 30 years and have been guiding fisherman just like you on the flats of the Florida Keys for over 20 of those years. Whether you choose to fish for tailing bonefish and redfish or giant tarpon, I assure you an enjoyable, interesting and exciting day in the Florida Keys. Though I primarily sight fish for these gamefish, we can fish for easier targets as well if your skills are not as high as your expectations. For the novice fisherman, I'll provide friendly fly fishing or light spinning tackle instruction. 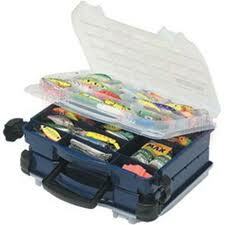 For the accomplished angler I can help to fine tune your casting skills. Expert? Our game fish should provide quite the thrill and challenge you're looking for. Capt. Barry Hoffman is a native of South Florida having fished the Southeast coast for over 40 years. Growing up in the small town of Dania. Florida, nights and weekends were spent pursuing any and all creatures swimming. After having moved to the Keys in 1982, he operated a 30 passenger dive boat and worked as a N.AU.I certified Dive Master. After obtaining his 50 ton Masters Captain's license, he worked as a Bahamian charter captain while operating an upscale yacht maintenance company at the Ocean Reef Club in North Key Largo. After intervals at the University of Florida, Florida Keys Community College (yes, there is such a school) and Florida International University, Barry settled on guiding (fishing being an ever-present hobby) twenty years ago. A victim of his love for the Florida Keys, its gin clear water and a tourism driven economy, it was the right choice. A self-taught fly caster and imaginative fly tier, he has been featured in publications such as Saltwater Sportsman, South Florida Sportfishing Magazine, Fly Fishing America Magazine and in Saltwater Software's Florida Fishing CD-ROM. Capt Barry Hoffman has fished with such notables as Curt Gowdy Sr. (the American Sportsman), Flip Pallot (Walkers Cay Chronicles), Raz Reid (Sage Rods) and Chico Fernandez. Having published numerous articles on bonefish and tarpon, he currently writes a weekly column for over 30 major fishing web sites and the local fishing guide, the "Weekly Fisherman". Barry has also been featured in a book entitled "Saltwater Fly Fishing from Maine to Texas," and is a field contributor for Water Way Magazine and Fly Fishing America.